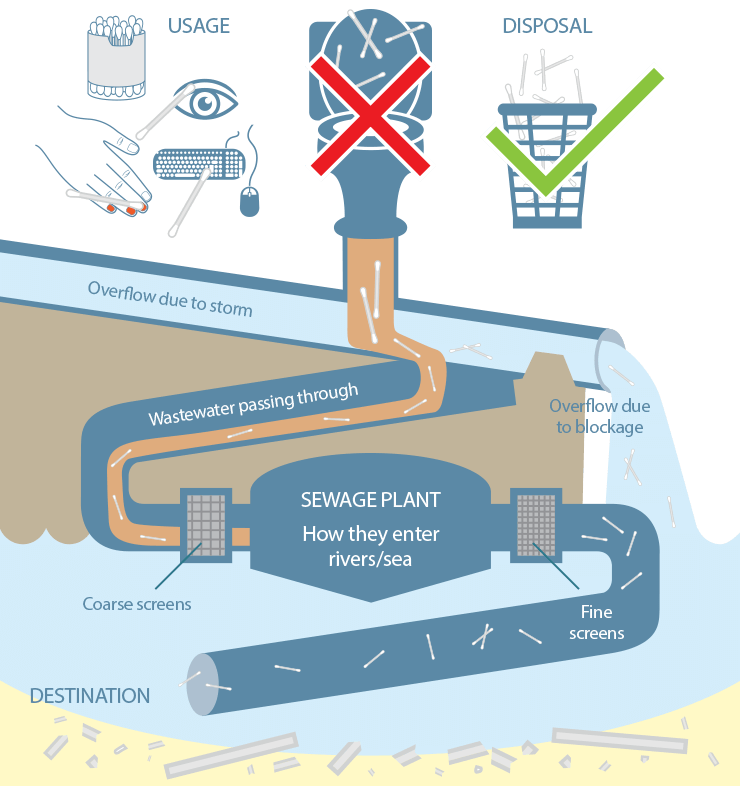 Once flushed down toilets, plastic cotton buds enter the sewage system and can reach the marine environment in various ways. Here they can persist indefinitely, eventually breaking down into fragments and microscopic particles. They can accumulate toxins from other sources of pollution in the sea, and may be eaten by a wide range of marine life. Plastic cotton bud stems are on the whole composed of polypropylene, one of the most widely produced plastics. As a lighter plastic, it floats on or near the water surface. Their structure means that they pass through the majority of sewage treatment works and end up in the marine environment via regular sewage outfalls. They also enter the sea in untreated sewage through combined sewer overflows (CSOs) during storm events or due to blockages, and are used as indicators of sewage related debris (SRD).